Always a good atmosphere in here. Top drawer bar staff and - more importantly - great beers, with good prices. I went there to see old friends but the place had changed beyond recognition - not for the worse however. Service was good, beer was reasonably priced and quick service. 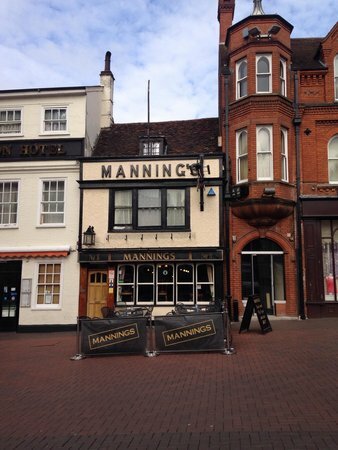 Get quick answers from Mannings staff and past visitors.